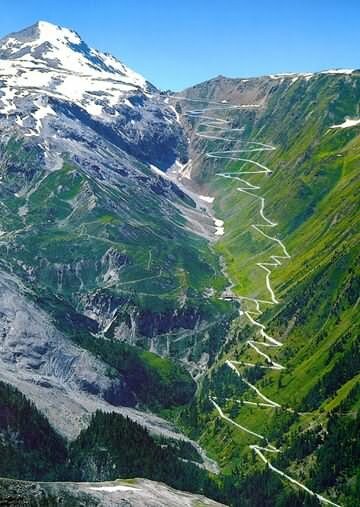 The Stelvio Pass is one of the highest Alpine Passes of Europe with its 2758 m. There are 48 hairpin turns on the northern side of the pass. The original road was built in 1820-1825 by the Austrian Empire to connect the former Austrian province of Lombardia with the rest of Austria, covering a climb of 1871 m. Since then, the route has changed very little. 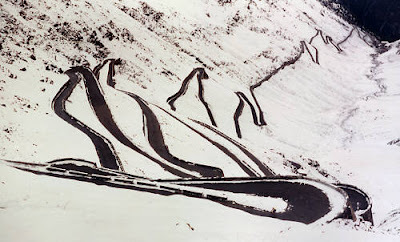 The 60 hairpin bends, 48 of them on the northern side numbered with stones, are a challenge to motorists. During the World War I, fierce battles were fought in the ice and snow of the area, with gun fire even crossing Swiss area at times. Austria, Italy and Switzerland made an agreement not to fire over Swiss territory which jutted out in between Austria (to the south) and Italy (to the north). Instead they could fire down the pass, as Swiss territory was up and around the Peak. After 1919, with the expansion of Italy, the pass lost its strategic importance. 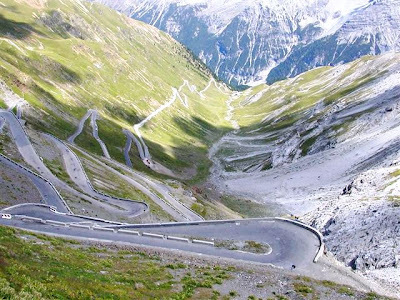 The Stelvio Pass does retain an importance for sport when it is open from June to September. Countless cyclists and motorcyclists struggle to get to the highest stretch of road in the Eastern Alps. Also, the Giro d'Italia often crosses the Stelvio Pass. 6 responses to "Stelvio Pass road, 48 hairpin turns to the top of the Alps"
I am so amazed to see this discussion form where several users also share their views and thoughts. I appreciate them and really delighted so much to be here and to read this awesome post.